Hayward EC50 D.E filter tank comes completely assembled. Flow rate of 50 gallons per minute or 24,000 gallons in 8 hours. 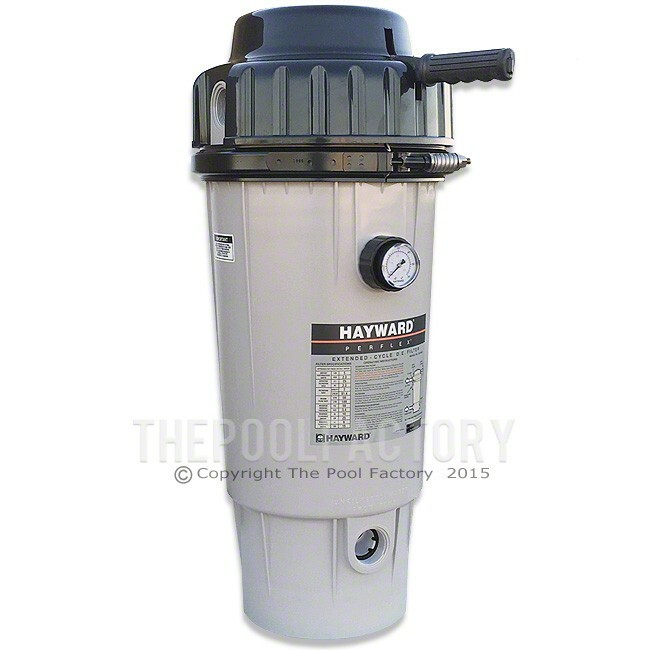 Filter tank will match up with any Hayward Matrix pump, or any side discharge Hayward Powerflo Pump. Hayward Perflex D.E. filters provide the deepest, most comprehensive clean, removing microscopic dust and pollen as small as one micron - 100 times smaller than a grain of salt. Provides crystal clear, sparkling water at an economical price. The Perflex D.E. filters have been proven reliability, and energy savings over many years, Perflex has set the standard in swimming pool filtration by incorporating the patented Flex-Tube™ design in combination with D.E. filter powder - the most efficient dirt remover known for pool filtration. The result is superior water clarity, extended filter cleaning cycles. 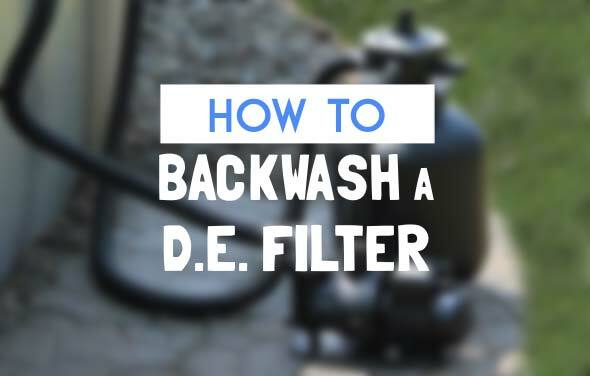 No backwashing is required.